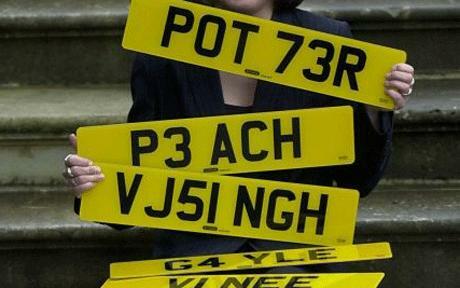 If you have bought a private number plate in the past you will have at some point crossed paths with the DVLA. Even if you haven’t bought DVLA registrations direct it is unavoidable to go without the DVLA, as they quite literally deal with every number plate transfer no matter new vehicle or new owner. They can also put DVLA registrations onto a retention certificate if you do not have a vehicle for it to go on. A lot of people think of the DVLA as a lot of red tape and just the thought of waiting excruciatingly long for a transfer to go through is just painful, but I don’t think those are using the DVLA Registrations services to its full potential. DVLA, for all their drawbacks, are on the whole a very helpful organisation. As long as you know what you want and what you need there should be no reason for headaches when dealing with DVLA registrations. The first thing to keep in mind is the big job: number plate transfers. DVLA registrations handle all of these, no matter what; it is just your job to decide whether you will handle documents yourself or if you will enlist the help of a dealer. The latter might be the simpler way to go about it, just remember that dealers sometimes get caught in the DVLA tangle as well. It is unavoidable at times. You just need to be patient. 3.A photocopy of the tax disc – or serial number and expiry. If DVLA Registrations has everything they require there should be no reason for delays. If anything is missing, though, DVLA will likely send everything back to you and you will be forced to start from scratch. Speaking from experience, this is not a great position to be in! If unsure, once again the help of a dealer would be invaluable as they deal with this sort of thing all the time. Of course, the DVLA Registrations team are there to help as well. You can call them at any time to ask questions on what they need from you and why. They also provide a lot of services that most dealers cannot touch. Take renewals for example – it is surprisingly frequent that someone locks their DVLA registrations retention in a draw somewhere and completely forget about it, or even lose it. If you are the legal owner a quick call to DVLA will sort the issue. You can not only find out if the number plates is still yours this way, but also tell you how much exactly you owe in renewal fees, and then they will send you the updated retention no problem. Admittedly, with the loss of the local offices DVLA have very much lost their “friendly face” customer service, but they’ve backed up their centralisation efforts with better over the phone support and quicker postal transactions, so it is not all bad. DVLA registrations still have a learning curve, so seek as much advice as you can and where possible always utilised a number plate dealer for the dirty work. You can’t go wrong! Just don’t be afraid to get stuck in, the DVLA are nowhere near as bad as some would have to believe.